Hey everybody! Sorry I haven’t had a new spotlight out since Monday. Week 2 has hit in Nano-land, after all, and I’ve been busy with a few other things. 😉 At least my word count is a solid 28k. And–here’s Ele-Beth! 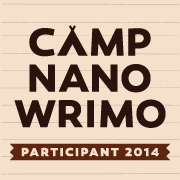 Have you participated in Nanowrimo before? I’ve attempted nanowrimo twice, unsuccessfully. I’m currently working towards a Creative Writing Ma, and part of it involves completing a novel, so thats what promoted me to try again this year – as well as the networking between other writers/ support. This year I’m writing about a young woman’s quest to track down her mother. Terri is an English teacher, but she’s had an unsettled ‘hippy’ background. Her mother, Catherine, left her with her aunt when she was six. She’s remained in touch, sporadically, documenting her adventures through Europe. But, when she loses contact, Terri grows concerned and decides this might be the time to try and find her. Her overland journey, which takes her through Spain to the Algarve, runs parallel with a kind of psychological journey or ‘untangling’ of influences (societal and familial). This surfaces in her experiences of various subcultures, squats, and an anarchist collective. The closer she comes to finding her mother, the more estranged from her she feels. Enjoy it, it’s never going to be perfect in the first draft (especially if it’s written in just a month) so make friends with imperfection and move on, you can always come back to it later to edit. 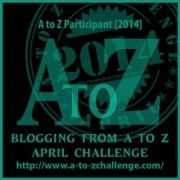 Creative active characters who push the plot forward. Even if your character is somewhat passive or introvert, they have to want things, and the clearer their goals are the easier it is to understand them – and to put obstacles in the way. A tip that springs to mind from my writing class is to limit how much you explain to the reader – the reader likes to participate in the story so you have to make a space and invite them in, and to do this you need to leave gaps. Sneaky Ninja question! What was your favorite thing to do when you were a kid? I actually used to collect spiders. I’m scared of them now. I have a love of zines and d-i-y culture so as well as working my novel and blog, I have zines ready trade – take a look at my blog for more information. When I started to create zines and send them out in to the world, it was essentially a transitional step from my private voice (of the compulsive diary-writer) into a public voice. Never underestimate a shy person’s desire to confess their secrets! As I’ve continued to write, the notion of ‘silence’ has taken on broader, even political, associations, engendering the notions of silenced or ‘othered’ groups. It’s writing that’s helped convince me that I am entitled to my own voice, to take up space, to exist, and I want to encourage others to feel the same. We all need to tell our story, to ‘paint our side of the world’. I studied and trained to teach Philosophy, so alot of my writing naturally intigrate philosophical ideas. Social justice is also important to me. I consider myself a feminist, and I tend to write characters who are queer or non-binary. I’m currently working towards a Creative Writing Ma, and I blog about my writing – the lessons I’m learning and the projects I’m working on. Image artist credit to Susan Boulet. This entry was posted on Friday, November 14th, 2014 at 9:49 pm and is filed under Uncategorized. You can follow any responses to this entry through the RSS 2.0 feed. You can leave a response, or trackback from your own site.